TOKYO — In earthquake-prone Japan, the public has grown accustomed to seeing regular alerts on television and their cellphones advising them to seek cover or move inland in advance of a tsunami. But on Tuesday, residents received a rare warning: A missile was approaching from North Korea and was likely to fly over parts of Japan. Citizens living beneath the missile’s flight path received a beeping alert on their cellphones at 6:02 a.m., just four minutes after the projectile was launched, rousing some from sleep. 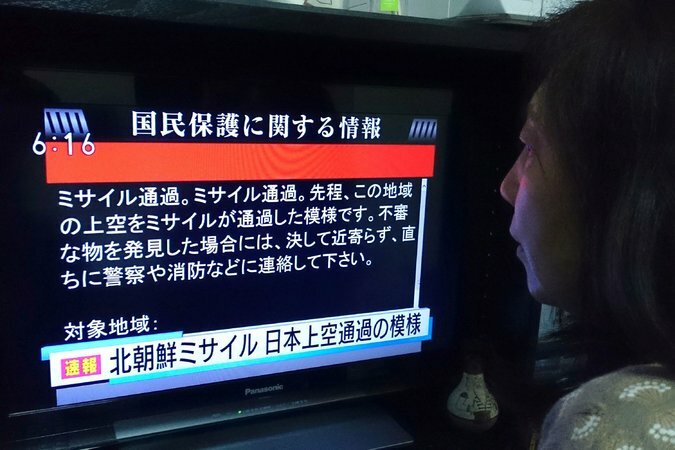 At the same time the phone alert was sent, the public broadcaster NHK cut into its early morning newscast with a black screen warning citizens that a missile was approaching and they should take cover. 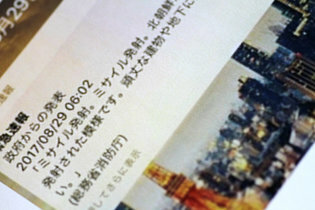 In Sapporo, the capital city of Hokkaido, Japan’s northernmost island, sirens went off, telling citizens to seek shelter. The government estimates that the missile broke into three pieces and landed about 730 miles off the coast of Hokkaido around 6:12 a.m. I am a Bangladeshi. Everyday hear about North Korean military might and innovation. we also hear about social, enormous economic and environmental environmental development in the country. North Korea may come forward to help the poorer countries in Asia. I’m impressed with your thoughts on this matter and totally agree with all your ideas. Hello, Just a great information on text message missile approaching. Thank you for sharing! Great information you share here. I like your blog.it’s wonderful.